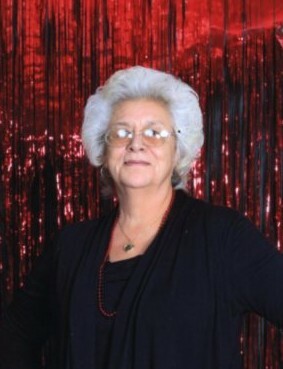 Virginia Rose Lyons, age 71, passed away on January 31, 2019 in her home on the Morongo Reservation. She was born on May 30, 1947 in Soboba, CA and lived in Cabazon, CA until she was 10 years old then moved to Banning, CA for a short while until she moved to the reservation in 1968. She graduated from Banning High School in 1965. She was head diet nurse at San Gorgonio Memorial Hospital in 1971, worked for Ahmium Education Morongo Preschool as director and teacher's aide from 1977-1987, was a Sunday School teacher, foster parent in 1987, member of the Morongo Charity Committee, volunteer at Morongo Preschool, and a member of the Morongo Moravian Church. She loved to teach, church, walk and travel with elders. Virginia is survived by her husband of 50 years, Ronald Lyons, Sr. of Morongo; daughter, Keri Lyons of Morongo; son, Ronald Lyons Jr. of Cherry Valley; granddaughters, Ilonna Lyons and Bethany Lyons, both of Cherry Valley; sisters, Joanna (Norman) Ruiz of Morongo and Yvonne Silvas of Soboba; brother, Joe (Terry) Becerra of Morongo; nephew, Jeremy (Carissa) Cervantes of Morongo; niece, Destiny (Bobby) Garcia of Morongo; great nephew, Gabe (Courtney) Lyons of Morongo; and 3 grandchildren. She was preceded in death by her mother, Frances Grace Becerra of Banning and father, Joe Jesus Becerra of Banning.